Jonatan Castao-Muoz, Universtat Oberta de Catalunya, Internet Interdisciplinary Institute & Elearn Center. ; Teresa Sancho-Vinuesa, Josep Duart, Universitat Oberta de Catalunya (UOC), Elearn Center. Online interaction is considered to be a key aspect of effective e-learning and improved academic achievement. However, few studies have examined how effectiveness varies with the degree of interaction intensity. Using data for 17,090 students from three Catalan universities, in this paper we study the productivity associated with five different levels of interaction intensity in learning. We also compare the results obtained for fully online education with those for face-to-face learning. The analyses show that interaction in online education has diminishing returns, while in face-to-face learning it does not do so in a pure way. These results have implications for determining the optimum level of interaction that should be sought when designing courses and educational policies. Castao-Muoz, J., Sancho-Vinuesa, T. & Duart, J. (2013). Online interaction in higher education: Is there evidence of diminishing returns?. 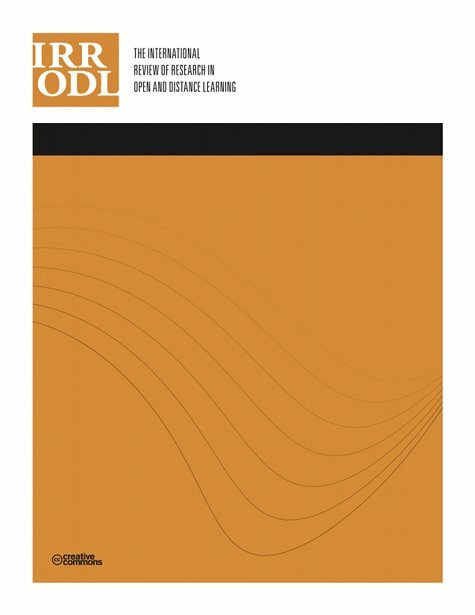 The International Review of Research in Open and Distributed Learning, 14 (5),. Athabasca University Press. Retrieved April 25, 2019 from https://www.learntechlib.org/p/171614/. Castaño-Muñoz, J. (2010). Digital inequality among university students in developed countries and its relation to academic performance. Universities and Knowledge Society Journal (RUSC), 7(1). Gunawardena, C.N., & McIsaac, M. (2004). Distance education. In D.H. Jonassen (Ed. ), Handbook of research on educational communications and technology (2nd ed.). Mahwah, NJ: Lawrence Erlbaum Associates. Ho, D.E., Imai, K., King, G., & Stuart, E.A. (2007). Matching as nonparametric preprocessing for reducing model dependence in parametric causal inference. Political Analysis, 15(3), 199-236. Muirhead, B., & Juwah, C. (2004). Interactivity in computer-mediated college and university education: A recent review of the literature. Educational Technology& Society, 7(1), 12-20. Van Dijk, J. (2005). The deepening divide: Inequality in the information society. Thousand Oaks, CA: Sage Publications. Wagner, E.D. (1994). In support of a functional definition of interaction. American Journal of Distance Education, 8(2), 6-29. Zhao, Y., Lei, J., Yan, B., Lai, C., & Tan, H.S. (2005). What makes the difference? A practical analysis of research on the effectiveness of distance education. Teachers College Record, 107(8), 1836-1884.